What is Springboard, and what is the inspiration behind it? I grew up in Houston, and my band was invited to the second South by Southwest. We ended up not doing it, but it was still such a great thing. I’ve never forgotten that cool thing that there was a festival that was there to help showcase independent music. I’ve gone to South by Southwest off and on for decades and I’ve watched it turn into something that just isn’t anything resembling the way it started out. Then five years ago in Houston, somebody offered me a location, and I said, “You know what, screw it, I’m just going to do this.” So we started Springboard five years ago in Houston. My concept was to create an independent music festival and conference that was to designed to help the independent musicians, not necessarily exploit them. Also to be a thing in the industry, where it’d be a place to go to be like a talent market, where you could go and have a reasonable expectation that there’d be really good, quality talent that maybe you didn’t hear about yet. It’s really about discovery. We started the conference part. I’d always spoken at panels and I used to do this panel I created called The Moment of Truth. It was myself and a bunch of other music supervisors, and we’d go “Okay, moment of truth: do you think your song belongs in a movie? Okay, here’s the person from Grey’s Anatomy, and here this person, and that person. You can play one minute of one song, what do you want to play? Track four? Let’s put it on.” It was amazing, and we incorporated a lot of that into our band bootcamp. What I particularly like that’s different about Springboard West is there’s always been a mixture of education and presentation, but being so close to LA is that everyone’s coming down, all the labels, all the agents. So if you’re not really ready-ready, boy don’t get on stage. You could do more harm than good. We typically see about 3,000 bands for 100 slots. You can get some pretty quality bands when you’re sorting through that many. So for San Diego, we cut it to 48. We’re doing 12 developmentals, which are artists that are younger, and they’re not ready to go on tour, but they’ve got a lot of talent. We’ve got 12 acts like that and 36 that are ready to be signed tomorrow. They’ve got their live show and everything going. What we do in terms of showcasing the bands, and we tried this last year and we’re always refining, is the industry doesn’t need to see you play an hour long set. Truth is, they’ve made up their mind about 90 seconds into the second song, so we’re doing 10-minute showcases. What we’re doing for our bootcamp is pitch your music to labels, get some input, and get that done during the day. Then, at 6 p.m., we shut everything down and start the showcases, and the first fifteen bands, we go, “Give us your best 10 minutes.” We normally tie in with a film school, so we’re going to get a multi-camera shoot and a 24-track recording of all the bands. What we’re doing also, we’re kind of stealing concepts that work in other ways and repurpose them, so we’re doing the NFL combine. Every year the NFL brings the best college players to Indianapolis and have them throw passes, lift weights, jump, and run, and everyone gets to look at them. That’s a great idea, so why not do the same thing for bands? We have them do their 10-minute showcase with full production, then we take them and walk to them to another room and have them do a full interview. Then, can they do a radio tour? They have one instrument in a cramped radio station, can they play a song? You get to see them do the different paces, then on the weekend, we’re bring in two headliners. The best bands are going to be doing 20-30 minute warm-up sets for someone else’s crowd. Can you make a crowd happy that isn’t yours? As an industry person, whether I’m a label, or a manager, or an agent, I’ve just seen that band do everything I’m going to ask them to do in 72 hours. The industry loves it, and we think they’re going to love it even more now that we’re close to it. The idea is taking artists from one level and expecting them to step up because they met that agent or got in that movie. In the last two years, we’ve gotten 12 guys placed in movies, and five in the last James Franco film. All the industry guys, everyone working, we’re all doing it for free. Nobody’s getting paid; we’re run through a non-profit, Sustainable Artists. The whole goal is to teach artists how to make a living. 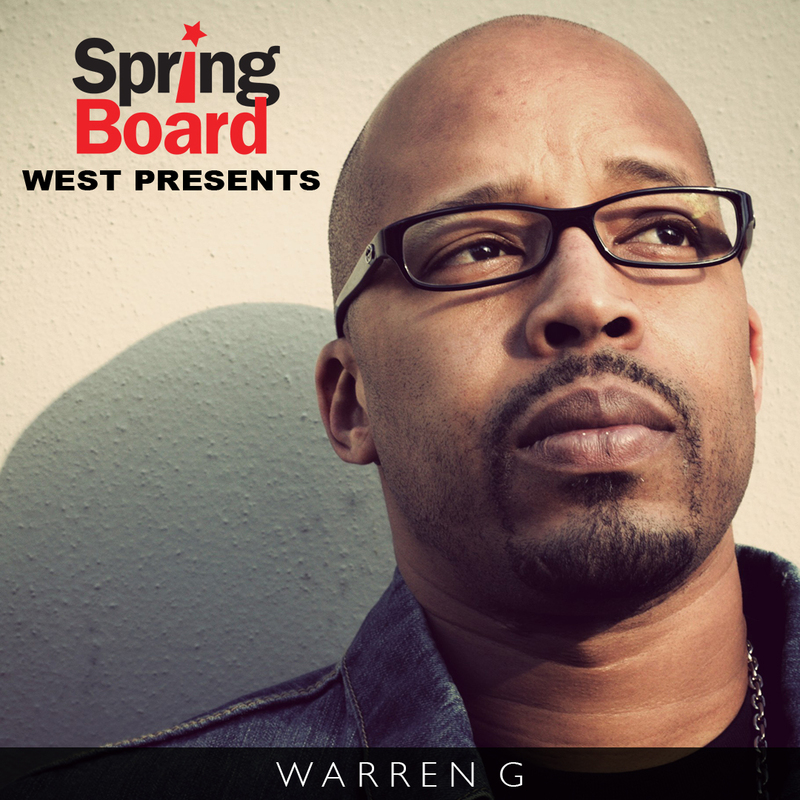 Even Warren G, our headliner for Friday, our warm-up artists get to do a private panel with him before them show. They can do a Q&A; introduce themselves. There’s a lot of reasons for doing it that way; one being that if you do it for money, you end up with a bad panel. The best way to do a conference to get the most money is to get the most famous people you can possibly find to speak. You can get Paul McCartney, and that’s fantastic, but how does that help that band? To me, for my panels, if you can’t impart some knowledge or we can’t find some way for you to meet that guy, then it doesn’t do you any good. You always want to have a few super big names, so the year before last, we had a management panel with Vicky Hamilton, who discovered Guns n Roses, Poison, Motley Crue; Dale Penner, who discovered Nickelback; Matthew Knowles, who brought up Destiny’s Child, Beyonce; Rick Barker, who was Taylor Swift’s first manager. These are arguably the biggest bands in the world, but these were their managers when they were nobodies. Not their managers that took them over once they went platinum. The benefit the audience got wasn’t just this trick or that, but it’s that a lot of people thought these guys had it easy. You think you’re the only one going through this and struggling, but you’re not, everybody did. Taylor Swift? She’s famous because she wants to be. She does the work it takes to do that. That actually brings me to my next question. 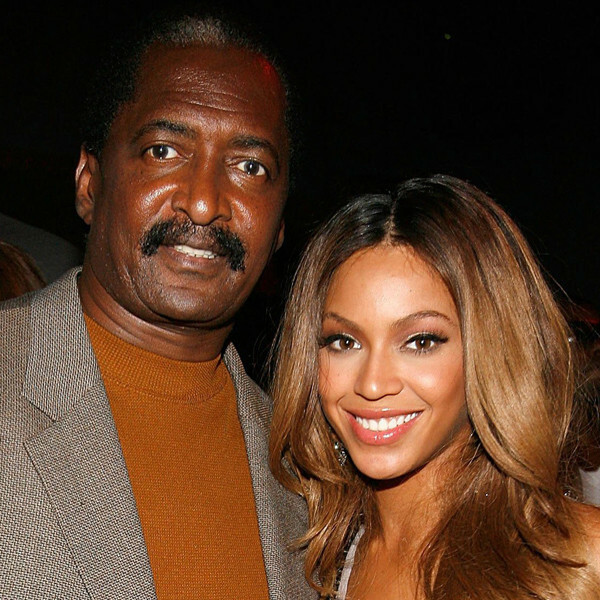 You mentioned some big names as mentors, such as Matthew Knowles. How did they get involved with Springboard? So with Matthew, with musicsupervisor.com, we represent 16,000 labels from 78 countries around the world for placement in film and TV. So Matthew is one of my clients. I’ll speak on panels for him, he’ll speak on panels for me. That’s my relationship with Rick Barker also, so I’m leveraging some of that. There’s two new crazy things we’re doing at The Music Box. One of them is Munchies with a Mentor. So, if you want, with any of the mentors that allow us, up to three people can pay $50 to have lunch with a mentor. The $50 pays for your lunch, the mentor’s lunch and whatever’s leftover goes to the mentor’s to help pay for the mentor’s hotel room. It helps the non-profit. The artist gets an hour and a half to sit down with one of the mentors. The other thing is that this is the first time that the conference and the showcases will be happening at the same place. While the Moment of Truth panel will be happening on the mainstage, up in the VIP room will bemicro-panels. So out of the 200-300 people attending, maybe only 5 or 10 people care about this subject but it’s one they really need help with. With some of our hip-hop artists, it’s sample clearing. So we’re bringing in Wendy Marmo, who’s the head of sample clearance for Universal. We’ve got another one, one of the Grammy-board guys, who does all the string arranging for all the cool indie bands, like Vampire Weekend. He’s going to come and show you how to make it sound like you just paid $20,000 for an orchestra and do it for dirt cheap. What are some other hope you have for Springboard in the future? After our fifth year, we realized this is working out great for the artists. They were saying we changed their life, they’re co-writing with each other, and they’re meeting great producers. The other thing is that the mentors and producers were getting clients. They realized these were the bands that were serious, that were willing to pay to have a real managers and a social media team. We want it to be a win-win scenario, where all the people who give their time come out with new connections with each other and with the independent artists that generate work for them. When you do a panel, you kind of hope you get a new client out of it and we kind of want to make that happen. When you come to Springboard, you want to meet that agent you could never get on the phone. You want to meet that supervisor your song would be perfect for. You want to meet that other band you could open for or tour with. Ultimately, from an industry standpoint, it’s a great place for the industry to meet every three months. They can come together talk about their new projects. A lot of us end up talking with our friends in a hole in the wall with our friends, and not talking with our friends that are doing the same thing. Yeah, they’re your competitors but you’re all in the same boat. That’s my bigger hope for the industry, that’d there’ll be more of a sense of community. Any advice for artists hoping to find success in the music industry? I’ll give you some crazy numbers: right now, there are about 40 million songs in the world making any kind of money. In the next 10 years, we will add 70 millions songs to that. It’s going to come down to quality. At the end of the day, if your song isn’t great, don’t record it. Don’t contribute to the junk that’s going to be out there: you’re going to have to be great. The good news about tearing down the wall is that everyone can get in. The bad news is that they’ve torn down the walls and now everyone can get in. It comes down to talent; you must have it and find a way to get it on display. My second bit of advice is branding. I get anywhere from 50 to 100 emails a day asking me to listen to their stuff, and I don’t have time for that. I’ll get to one or two a day and you know what they have in common? They either have an amazing photo that makes me go, “Wow, I have got to listen to that band” or they’ve got a tagline. Like, “Her voice sounds like a buzzsaw dipped in honey and lit on fire.” Have a real, professional bio and real, professional photos. Those are not just nice to have. If you can’t break through the clutter and get me to listen to you for the first time, you’re not going to win. You’re marketing materials need to be top-notch. Don’t miss out on your chance to attend and/or perform in this year’s Springboard West Festival at Music Box! TIX here.